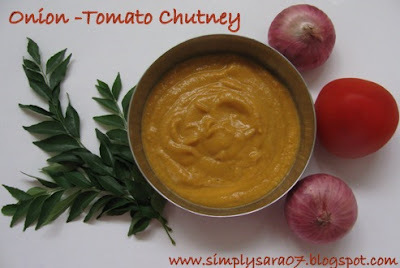 Delicious chutney Sara, perfect dip for idli/dosa. Nice presentation too. Chutney looks simply delicious and yummy!..COngrats on ur awards, dear! Always love easy recipes like this. Chutney seems so delicious dear. Congrats ..some awards are waiting for u in my blog as well.. Thanks for passing the awards to me as well..
My fav chutney..congrats on ur awards..
Hi Sara, my first visit here, love the onion tomato chutney nice color... I make it similar with some bengal in it!!! 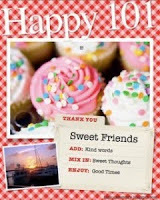 Congrats on your awards... Shall keep coming by for more recipes, visit me @ www.memoryarchieved.blogspot.com when time permits!!! hey congrats on your awards. Nice recipe. would love to have this with rice.. Thanks a lot my friends for your lovely comments. Chutney looks yummy and thick, can keep eating dosas with this chutney. Congrats on the awards. Mikka nandri for sharing it with me. Have a wonderful weekend sara. I am going to make this chutney sara...and thanks a ton for passing an award to me too..Congrtas !